Is your vehicle stranded on the side of the road? Do you need it moved after an accident? 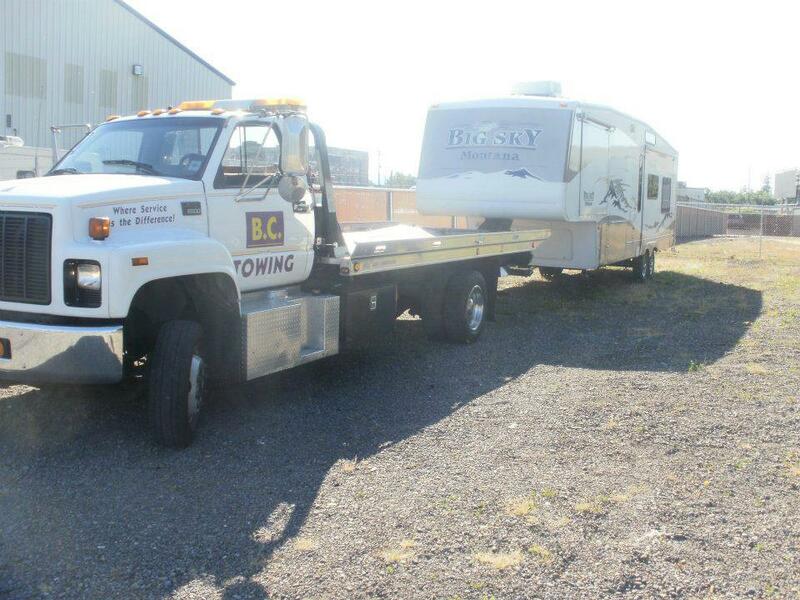 At BC Towing, our fleet is always ready to go. 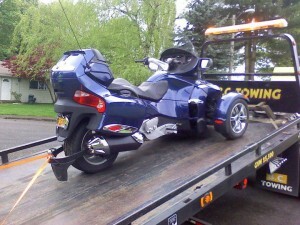 Our team has the resources to tow everything from a motorcycle to a diesel truck. 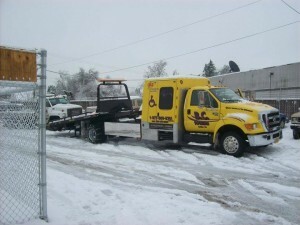 For over 18 years, we have proudly been the leading choice for towing in Oregon. All of our equipment is current and our drivers are trained to reduce the risk of damage caused to your vehicle. In fact, our team has a documented history of providing excellent service to our community daily. 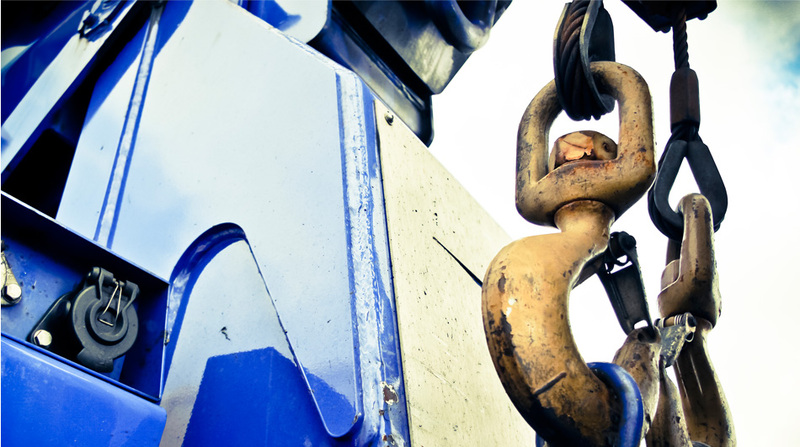 Our tow service is available 24 hours a day, 7 days a week, and 365 days a year. We understand that your car problems won’t always occur during normal business hours. So we are there to help you, no matter when you need us. We continue delivering excellence and providing you with a safe experience. We do an extensive criminal background check for all of our drivers. Our drivers are also routinely drug tested to keep our customers safe when our vehicles are on the road. 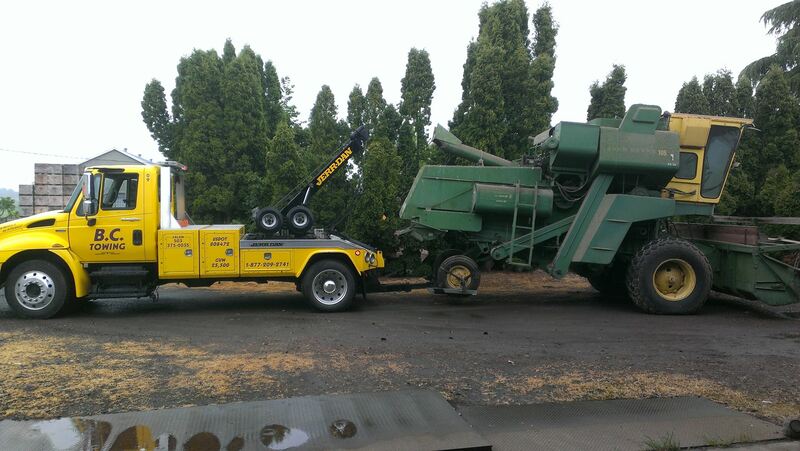 No matter if you need towing or roadside service in Salem, Oregon make sure BC Towing is your first call. Our team of professional drivers will get you back on the road in no time. We can accommodate up to 5 passengers. 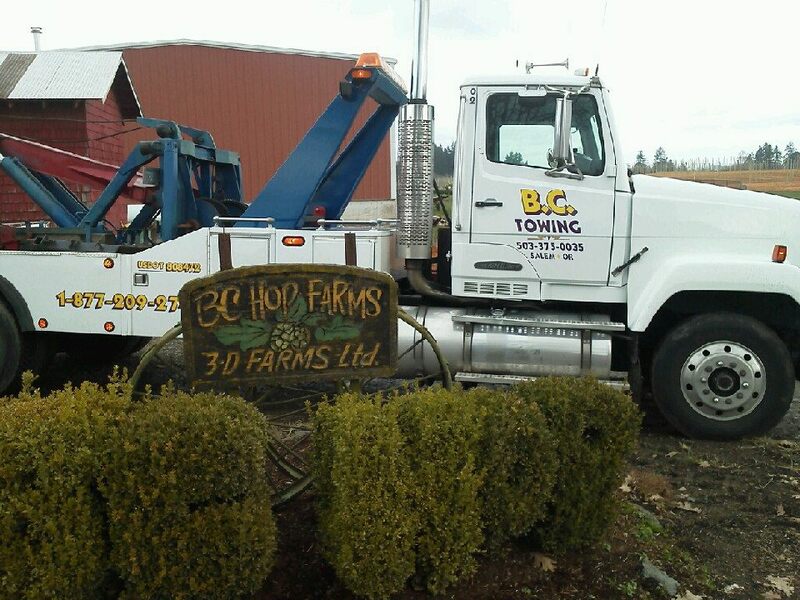 For over 18 years, BC Towing Inc. has proudly served Oregon. Our commitment to excellence is seen in the American Tow-man Ace Award, an honor we’ve received sixteen years in a row. This award is only given to the top 1% of companies in the United States and we are honored to be among those receiving it. We are also proud to have Jeff Asher, as a member of our team. An award winner for being one of the top 10 Wreckmasters in the United States, he has showcased the best in the towing industry. We take pride in our work and we go out of our way to give you the best experience possible. We understand that without you, we wouldn’t be here. From our first day of business, we have looked at new ways to better serve our customers. This includes routine training and certification for our drivers, upgrading our equipment when better tools are available and helping to streamline the process. All certifications for our drivers are handled through nationally accredited programs. For example, we feature two WreckMaster 6/7 operators and one Wreckmaster 4/5 certified operator. 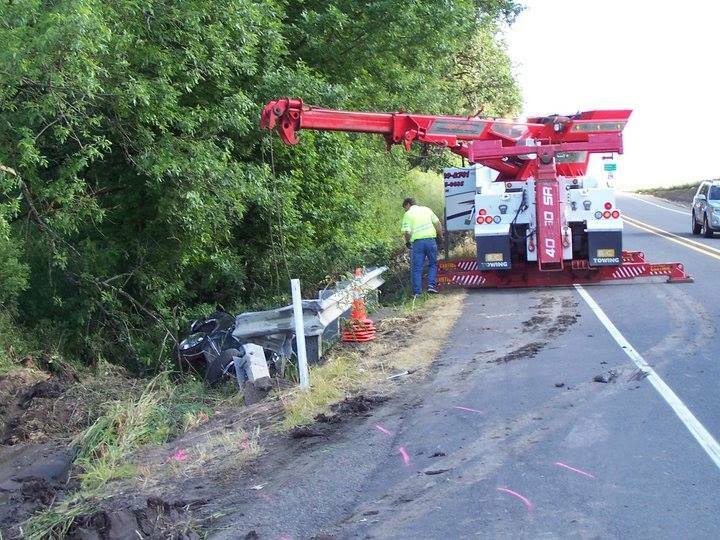 In the towing industry, this is the nationally recognized leader for certification. 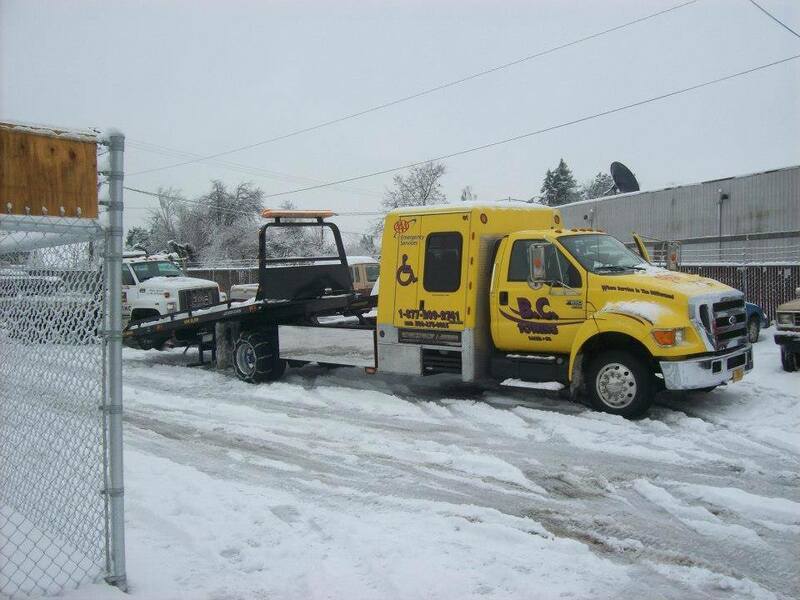 They have created an innovative program that makes certain our drivers deliver the best towing service possible. We are also one of the first companies in the United States to understand the importance of offering handicap accessible options for our customers. 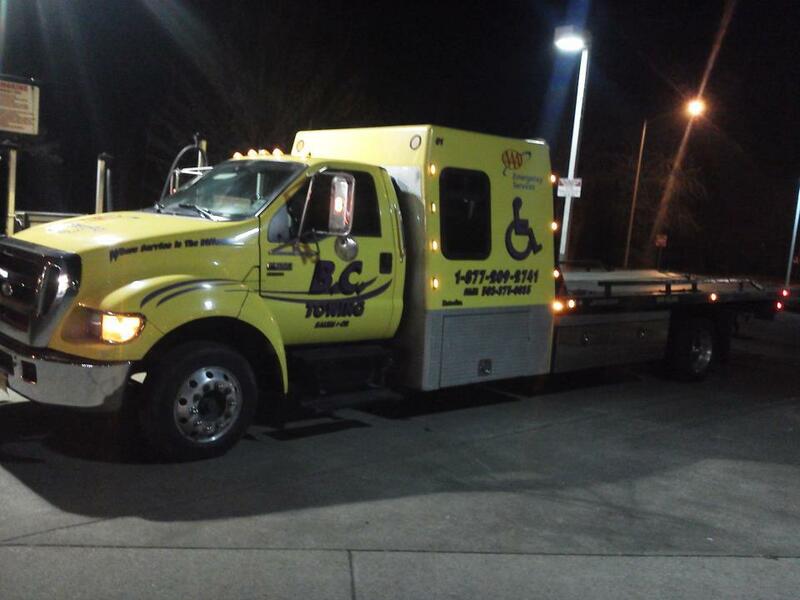 We offer a tow truck that is designed with a wheelchair lift and for those with limited mobility to improve the towing experience. If you are in need of towing or road side assistance, contact BC Towing today. Please download the application below and either fax, email or deliver in person! 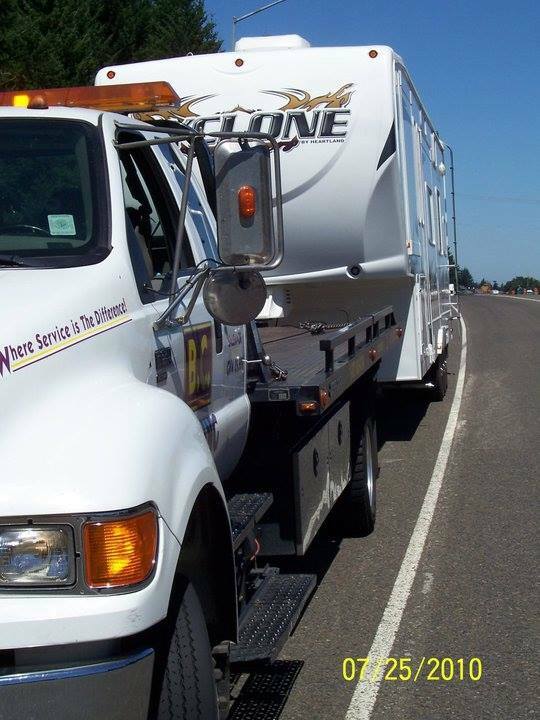 Our tow service is available 24 hours a day, 7 days a week, and 365 days a year. 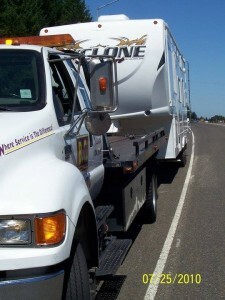 We offer Light Duty Towing,Medium Duty Towing & Heavy Duty Towing (includes large motor homes and buses). We handle all your roadside assistance needs from Battery Assistance/Jump-Starts (including Hybrids), Fuel Delivery (up to 2 Gallons local miles), Lockout Service & Tire Changing. Did you lock yourself out of your vehicle call BC Towing and we will be there to help you out. Are you stuck on the side of the road and need a Tire Change, Just call BC Towing and we will be there to handle it. BC Towing provides property owners with no cost posting and removal of unlawful, unauthorized, unwanted or improperly parked vehicles. There is a disposal fee for RV’s and motor homes. If you need tow or roadside service in Salem, Oregon, contact BC Towing Inc. today. Our dispatchers are available 24 hours a day, 7 days a week. The Serving the Willamette Valley including Salem, Keizer, and surrounding areas.